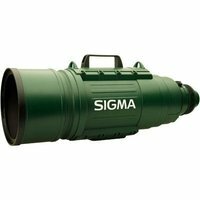 The Sigma 200-500mm f/2.8 EX DG Telephoto Zoom lens (Sigma fit) is the perfect lens for creating amazing image expression with various types of photography including astrophotography, portraits, wildlife and sport. Inside the lens SLD (Special Low Dispersion) glass and three ELD (Extraordinary Low Dispersion) glass elements provide excellent correction for all type of aberrations. The Sigma 200-500mm f/2.8 EX DG Telephoto Zoom lens also features super multi-layer lens coating which reduces flare and ghosting and provides high image quality from the extremely large aperture. The HSM (Hyper Sonic Motor) makes fast, silent AF function a reality. The lens is also capable of full-time manual focus and a dedicated Li-ion battery (BP-21) housed within the lens body is used to power the zooming and AF operation.